Crafted from durable components, the A&B Home ever stout planter urn boasts weather-resistant properties that make it an excellent choice for enhancing your outdoor living area. 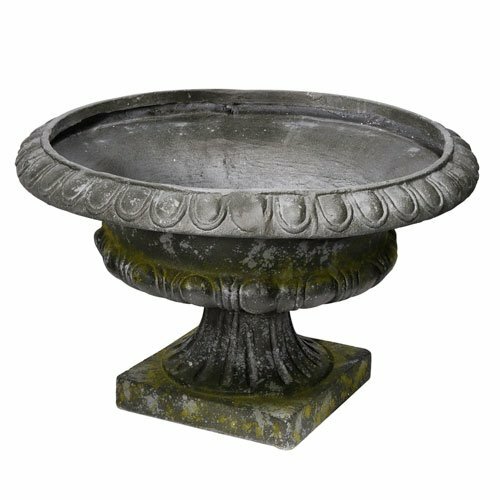 This unique planter urn features details on a slate gray finish with just a touch of green, giving it a time-weathered look. Hand-crafted design. Suitable for indoor or outdoor use. Made of magnesium, inorganic, and fiber construction. Dimensions: 24.02 Diam. X 15.35H in. This item belongs to a collection of items created and designed by a & B home, Inc., a family owned business founded in 1993. A & B home Inc. Is recognized as an international leader specializing in quality products with innovative design for the home decor, furniture, garden, and seasonal product categories.